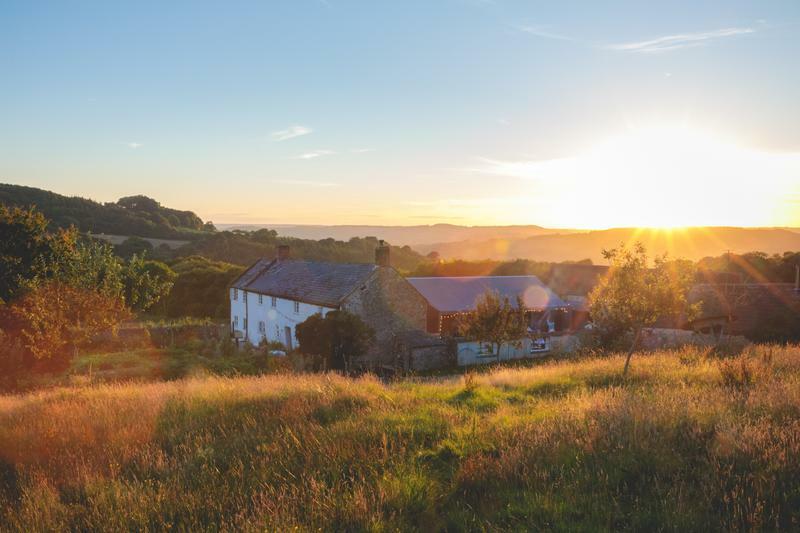 Come and celebrate the great outdoors with a magical afternoon and evening of cooking and dining at River Cottage HQ. 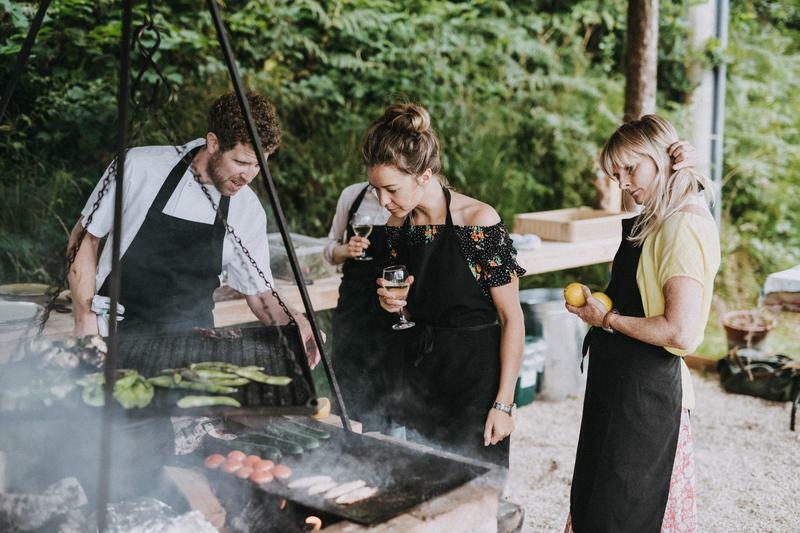 At River Cottage we know how to make the most of the seasons and the beautiful weather too, which is why our Chef’s Table Experience is a magical event not to be missed. During this fun and relaxed afternoon and evening, you’ll have the chance to get hands-on learning a mix of different techniques to cook over fire in our fabulous new outdoor cookery area. From fire pit cookery to tips and tricks for BBQ mastery. 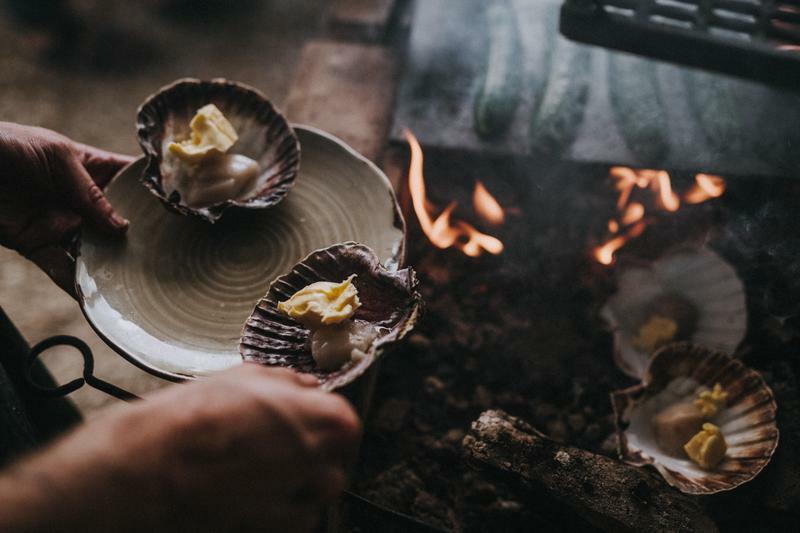 You'll also be inspired by a host of outdoor culinary techniques including curing, fish preparation and salt baking. Your evening will culminate with a mouthwatering three-course dinner, together with your chef, with a drink paired to each course. The Chef's Table Experience is an intimate event and limited to 12 guests only. The event is set against the stunning backdrop of River Cottage HQ and promises to be a summer treat not to be missed. One of our team will meet you and walk you down to the farm, taking in the beautiful views across the valley. We’ll greet you with a refreshing summer drink and then we'll get cooking! In our new outdoor cookery area, you'll get hands-on with the bbq, fire pit and grills and learn a mix of different ways to cook over fire. 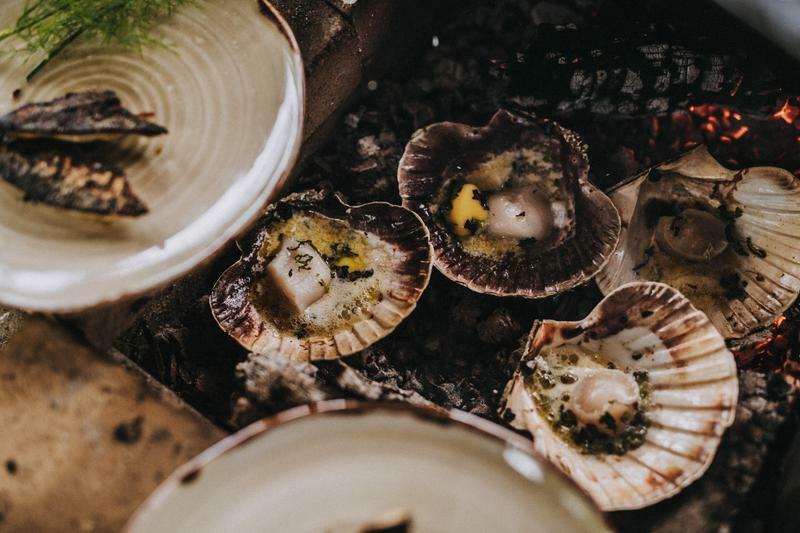 Your chef will take you through the skills for curing, fish preparation and salt baking too, and you'll put together a delicious three course meal with a fish starter, meaty main and a fruity dessert, all cooked in the great outdoors. With a glass in your hand, and as the sun goes down, it's time to kick back and enjoy the fruits of your labours. Your chef will join you and you'll have a beer, cider, wine or non-alcoholic drink paired with each course. As the evening draws to an end, you’ll be able to wander back up the hill as the sun sets. Transport up the hill will be available if required.